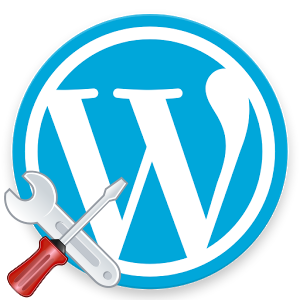 What are our WordPress Maintenance Services? A WordPress website isn’t complete when it’s launched. Far from it. The launch is just the beginning. Updating core, updating plugins, updating themes, executing an effective site backup strategy, performing ongoing content updates and tackling a variety of other ongoing activities are all part of keeping a site running smoothly. The reality of WordPress sites is that somebody needs to look after them on an ongoing basis. Backups exist so we can restore them if something breaks. But are you really in the best position to be handling those tasks? Is it the best use of your time? Basic Support we will advise on your best course of action. WordPress Version Updates as new WordPress versions become available they will be installed and updated. WordPress Plugin Updates as new plugin versions become available they will be installed and updated. Performance Optimisation we will optimise your WordPress database to keep things running faster. Weekly Website & Database Backups we will take regular backups of your website and database. Priority Support we will advise on your best course of action or take action on your behalf. In addition to keeping WordPress updated, Domainsrush maintenance packages also provide extra security protections, regular intrusion scanning, blacklist. Domainsrush will also provide a monthly care report outlining the updates and backups we have done plus any security issues. WordPress is a complex piece of software and needs regular maintenance in order to remain secure and to perform properly. Security patches are released frequently, and keeping WordPress updated is extremely important. Failure to install these updates is the most common cause of being hacked and having your site compromised.